Our dental knowledge helps You improve results and receive more referrals - the Dental Expert. Invest today and get better feedback and more referrals from your patients. Receive better clinical treatment options just after 3 days. As you can see in the pictures: package has everything to get you working next day. It's slightly used unit! DVD with instructions to start working immediately. It's a really great unit to have in a dental office, It will pay itself the first week. Just take advantage and show your patients, why your important and precise work must be done! Actual images were taken with this RVG unit! Carestream/Kodak 5100 size #2 fully working X-ray acquisition unit (used- 9 /10 condition) 2. Carestream software installation DVD 4. Video guide how to install, run and test the RVG sensor 5. Sensor care information sheet - answering the question how to maintain it's longevity. All sensor parts are original, condition seen in the photos 3. All sensor photos are free of defects or artifacts 4. User guide is included together with imaging software install 5. Size 2 with software installation! It will improve your procedure perfection. You'll get new skills and widen range of clinical procedures. This intraoral camera is fully adjustable. There isn't a procedure in dental office which you ouldn't show your patient with it! IT will not only help you advance, but also show care for your patients. Patients love cameras because they see treatment results and can compare them with look before. Moreover it's one of the best ways to show that you invest in the well-being of your patients and their families. They will tell eveyone that they were shown actual photos of the procedure! This is one of the best rvg's in the world, look what Carestream/Kodak tells about 5100. In dentistry, numerous daily activities require magnification glasses or a microscope together with a mirror to observe the areas requiring treatment. The Sopro 717 First allows you to go beyond the limits of human vision while casting off bulky accessories. As a result, you can create a photographic record of a cavity preparation, document the surface state, acquire images of microfissures and cervical lesions all taking advantage of the exceptional image quality of the SOPRO 717 First. The slender distal end of the camera ensures a comfortable experience for your patients where space is tight even during pediatric treatments. The Sopro 717 First is a fixed-focus camera that offers instant, adjustment-free focusing with a great depth of field in 3 discrete ranges. Macro mode allows the viewing of objects from 0 - 5 mm while providing more that 100x magnification. Intraoral mode instantly focuses on objects from 5 40 mm which is about 1-3 teeth. Extraoral mode is for objects at distances greater than 40 mm, like a smile or an arch. The focusing ring of the SOPRO 717 First instantly sets the range and the camera does the rest in whichever operating mode you choose (extraoral, intraoral and macro). This camera fits in perfectly with your dental practice environment and can be perfectly integrated into all dental units. Sopro 717 First is a USB2.0 video camera that will install into any version of Windows® through version 8.1 or Apple® OS X through Mavericks® and will also integrate into almost all dental imaging software applications. For no-charge assistance in installing the Sopro 717 First into the application of your choice. Resolution : (752 x 582) PAL ; (768 x 494) NTSC. Adjustment : three preset positions (Extra-oral, Intra-oral, Macro). Image capture through SoproTouch or footswitch (optional). Handpiece dimensions : L : 200 ; W : 28 ; H : 24 mm. Usable part dimensions : W : 14.25 x d : 8.75 mm. Our Sopro cameras allow us to better serve our patients. I have no doubt that our patients receive better care because of Sopro technology. Of course intra-oral cameras raise production and profits. But the most important thing is that the cameras improve our care. We can do a better job helping people we love and care about. I highly encourage all dentists to use intra-oral photography. Customer service received from Sopro is great and I also believe they have the best image quality on the market hands down! Thanks to rigorous design and testing all RVG sensors provide maximum durability and flexibility. Completely waterproof, RVG sensors can be safely submerged in disinfectant. The shock-resistant cases and silicon padding offers protection from falls, bites, and other damage. In addition, fiber optics protect the detector from x-raysensuring a long lifespan with an attractive return of investment. Sensor durability is so important to Carestream Dental that we have a lab dedicated to analyzing the robustness of the RVG sensors. Testing ensures they meet strict design standards for durability, cord flexibility, and submergibility. Each sensor is also tested during every stage of the manufacturing process to ensure they meet our quality and imaging performance standards. We share our knowledge to improve your results. You can trust us, because we are licensed dental specialists, who been working in dental industry, sales and marketing for more than 7 years. Our clients speak for themselves. Our feedback is only 100% positive. They all had their issues and questions answered, items delivered quickly, securely and without any headache. As you can see every opinion in our feedback section is genuine. This item could be used in U. / CA or any other continent. Moreover we can help you take care of your clinic success: create marketing and staff education plan for your clinic. Together with managing, team building and patient psychology trainings. We are constantly learning to pass you the wisdom, so if you want a solid advice, you can anytime consult us writing a message here. This is the last unit. And surprise your patients next week! Add a map to your own listings. The item "Kodak Carestream 5100 #2 X-ray RVG Software Sensor dental imaging with warranty" is in sale since Sunday, December 2, 2018. This item is in the category "Business & Industrial\Healthcare, Lab & Dental\Medical & Lab Equipment, Devices\X-Ray Machines & Equipment\Other X-Ray Equipment". 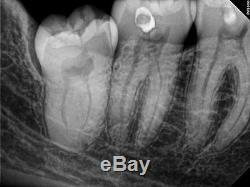 The seller is "thedentalexpert" and is located in Hawthorne, California. This item can be shipped worldwide.